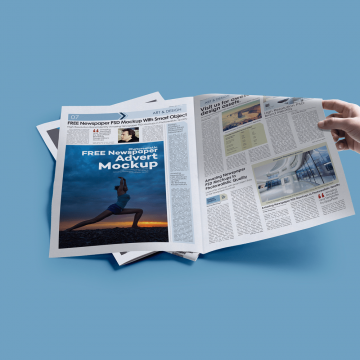 Here we present a collection of free and premium newspaper mockup templates to showcase your newspaper and advertisement space design to your client. You can easily edit the design via Smart Object in Photoshop. This Newspaper Advertisement Mockups are well prepared with a grain texture overlapping.